Words like access, transparency, equality, and equity have been swirling around projects on the school construction bond. Usually, this would be a welcome and expected aspect of the conversation. But backers of the proposed stadium at Wiley have incorporated these terms into marketing efforts. Recently they’ve attempted to establish a false equivalency between an essential need for Ashley Elementary and an optional enhancement for RJ Reynolds. Let’s take a moment to clarify the differences between equality and equity. When considering the distribution of scarce resources, particularly in education, it is important to understand the subtle but important distinctions. The classic illustration involves three kids, a fence and three identical crates. Often, the immediate inclination is to give each person an equal amount of equal resources. This is a solution focused on equality. However, it is not difficult to see that if the short kid receives two crates and the middle kid one crate, all three students will be able to see over the fence. This is a solution focused on equity. It seeks to equalize the outcome. But guess what—it almost always happens that the one who had the advantage at the outset, the tall kid who didn’t need a crate in the first place, gets upset. He says, “Hey, no fair! You didn’t give me a crate!” This is a typical response to solutions focused on equity—they elicit a loud outcry for equality. This illustration was sourced from https://www.a-m-a.co.uk/defining-diversity-ada/. The distinctions can become more confused in complicated situations. But almost invariably, anytime there is an attempt to shift the focus to an equitable outcome, there is pushback to focus on an equal allocation of resources. Because it usually comes from the group that already has the most advantage, this argument will be backed by power and persuasion. 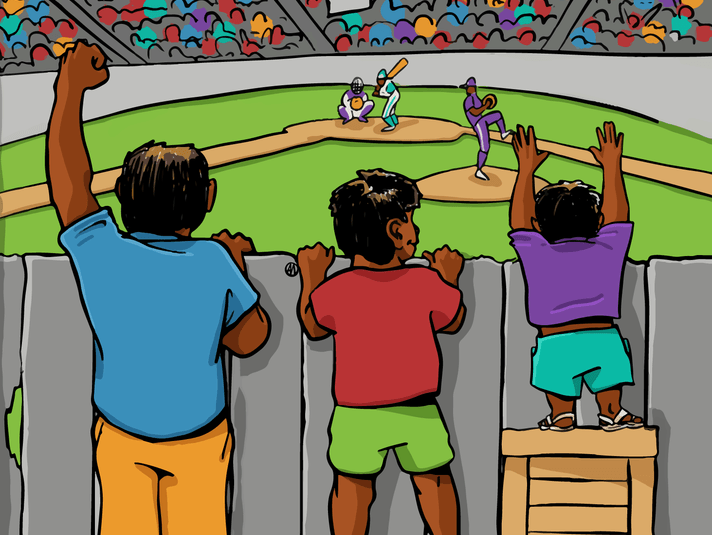 Even though the shortest kid can’t see over the fence, the tall kid and his friends will point out that at least the average kid now can and the other’s situation is significantly improved. They will argue as if their whole income depended upon it, that this solution is most fair and should be sufficient. When the school board decides to distribute bond funds equally to each of Winston Salem’s wards, the districts who already have fewer resources will always turn up comparatively short. They will never catch up. Equality can be a means to perpetuate privilege in our community. Solutions focused on equality favor the advantaged. 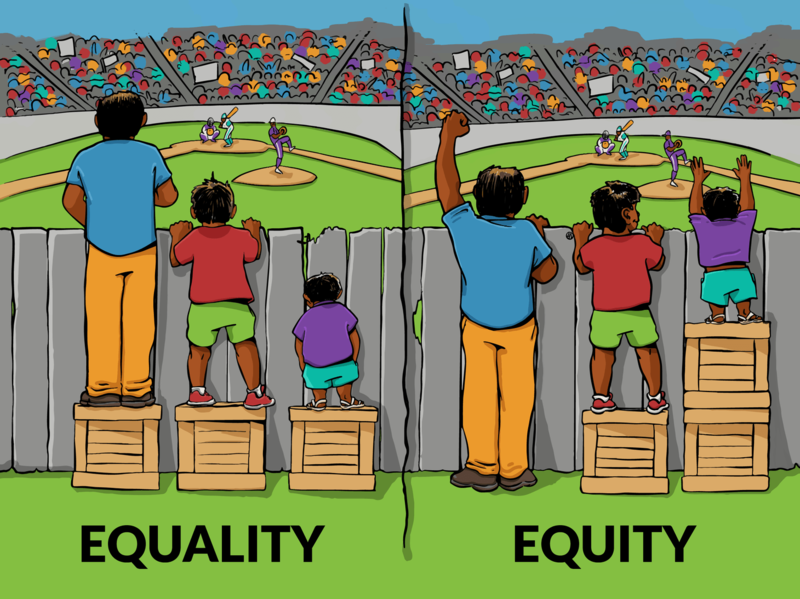 If you want true equity you’re going to have to resist capitulating to the tall kid and remain vigilant even as the average kid advances until all three students, including the most disadvantaged among them, have equal opportunity to see over the fence. Equity, access, and transparency are lofty goals that we sincerely hope our school board members will advance in every decision they make. These are the same goals those who are disadvantaged, marginalized, or simply different depend on to ensure they are treated fairly. However, recent school board meetings have displayed a disconcerting lack of transparency and a clear misunderstanding about how best to advance equity. It appears as if backers of the current stadium project are exploiting those who need a strong champion in the fight for equity and transparency. We implore school board members to ask questions and keep discussions open by respectfully involving and listening to the whole community, not just those in positions of power. Protect our most vulnerable. Do not allow their needs or their fight to be exploited.